In an article extolling New York City’s leading role in promoting abortion, New York Magazine declared, “This is now the third period in American history in which New York has become the nation’s abortion capital. In many ways, the story of abortion in the United States isthe story of abortion in New York” (Ryan Lizza, “The Abortion Capital of America,” December 12, 2005). 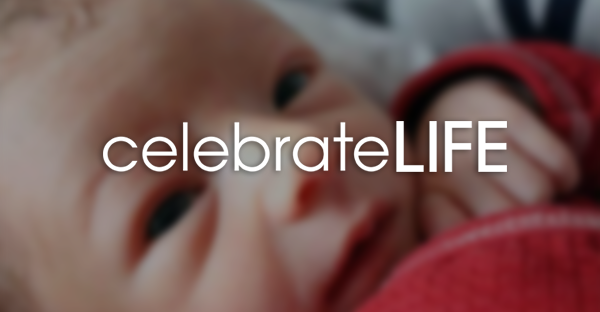 But those of us who value the lives of both mothers and their preborn children have a reason for hope: A quiet revolution began in the Archdiocese of New York in 1991, when Cardinal John O’Connor founded the Sisters of Life. Besides the three traditional vows of poverty, chastity, and obedience, they take a fourth vow: to protect and enhance the sacredness of human life. For the last 23 years, thousands of souls have been nurtured into life by the power of their prayers—and the stunning proclamation that God loves and wills every person into existence, creating each as unique, unrepeatable, and irreplaceable, and through His Son, Jesus Christ, invites everyone to life in abundance. The Sisters blend contemplation and activity, as all of their apostolic works flow from their lives of Eucharistic prayer. Both in Manhattan and Toronto, the Sisters serve in the Visitation Mission, which provides pregnant women with material, emotional, and spiritual support. They are assisted by the Co-Workers of Life: lay faithful who share their talents, hearts, and homes with those ministered to by the Sisters. At Holy Respite Mission (provided at Sacred Heart Convent in Manhattan), women live alongside the Sisters as their guests, through their pregnancy and for a time after their baby’s birth. The Sisters also host retreats addressing the dignity of human life and love, and serve in the archdiocese’s Family Life/Respect Life Office. To those suffering after abortion, the Sisters offer Christ’s mercy and the hope found only in Him, accompanying them on the journey of healing. I recently had the opportunity to speak with Mother Agnes Mary, superior general of the Sisters of Life; Sister Magdalene Teresa, coordinator of Visitation Mission; and Sister Catherine Marie, coordinator of Holy Respite Mission. What is the charism of your order? Has it changed since your founding? Mother Agnes: The gift entrusted to the Sisters of Life is the charism of life. Every person is made in the image and likeness of God, and given a personal relationship of intimacy with the Creator. . . . Every human life should be protected and prized as a unique communication of God’s beauty and mystery. The charism is something which never changes. . . . It was a gift of God’s Spirit that lives eternally, and it’s for us to continually discover it in its fullness. Mother Agnes: Our Lady. She is our model and mother. It was her assent of faith at the Annunciation that allowed the Word to be made flesh and dwell among us. We desire to imitate her fiat, conceiving Christ beneath our hearts and bearing Him to those we serve—that they may experience the joy of His presence in their lives. Tell me about the Visitation Mission. Sister Magdalene: Last year, we served over 900 pregnant women, mostly from New York and Connecticut. Many are referred . . . by priests, while others find us on the Internet. Some hear about us by word of mouth, as women we’ve served in the past encourage their vulnerable friends or family members to contact us too. Sister Magdalene: There are quite a few who bring women to the convent after they’ve turned around from the clinic. How many of these women who come to you are considering abortion? Mother Agnes: I would say 60 percent, with 30 percent set on that decision. . . . Over 90 percent decide to give life to their child. And that’s how little women need. They just need to reach back into their own hearts and start living from that center. What happens when a woman comes to you? Sister Magdalene: Every single woman is unique, and so are her needs. . . . We try and . . . connect her with those Co-Workers . . . best able to meet these needs. Let’s say a woman is in college and finds out she’s pregnant. She may be very embarrassed . . . because her friends will find out. We say, “Why don’t you tell them you are in a special program or studying abroad, and we’ll send you to a college abroad or out of state?” Then we connect them with the college that accepts transfers. What are the main concerns of the teens who call you? Sister Magdalene: They think their life will be over or they won’t finish high school, or [they fear] their parents’ response. We’re always able to help them with their school. And every time we meet with a teen, we offer to tell their parents with them. I remember one young woman who . . . [felt] paralyzed by the very thought of her family knowing. So I said, “Let’s tell them together.” She agreed and I invited her family to the convent. . . . After the tears, her own father said, “I’m going to be the father to this baby.” It changed everything for her! Is there a common difficulty that leads women to choose abortion? Sister Magdalene: An increasing number of women are coming to us after receiving an adverse prenatal diagnosis. We introduce them to an apostolate formed by doctors who run a perinatal hospice called Diana’s Hope. We were working with one expecting couple who, after receiving an adverse diagnosis, committed themselves to having the baby. . . . While waiting in the doctor’s office, they saw another couple receive an adverse prenatal diagnosis and the advice to terminate their pregnancy. The first couple said, “We’re planning to go forward with the birth, and you can too. This is how we were able to do it.” They supported the other couple throughout their pregnancy. How often do you stay in contact with the women you serve? Sister Magdalene: In the beginning, especially when she is vulnerable to abortion, we call her every day. Then, a sort of calm enters in, and she begins to feel more capable because of the support and opportunities available to her. She’ll stop by Visitation to catch up, or pick up maternity clothes, or celebrate her birthday. We think of reasons to invite them back! What is the role of the Holy Respite Mission? Sister Catherine Marie: This is a convent. We call it a holy respite because we invite our guests into a place of peace and prayer where they can prepare for their baby and plan for their future. We’re able to receive up to eight women at a given time. We share life with them, accompanying them to appointments, helping them through the day, preparing dinner every night, and exchanging stories and laughter. They’re always welcome to join us in the chapel. Mother Agnes: As we love those who feel so vulnerable, their courage and generosity humble us. We cry with them in their struggles; we rejoice in their joys. These women experience that we are for them, and they become a gift to us in ways we could never foresee. Love is so creative; it always brings new life! Sister Catherine Marie: Many women tell us they didn’t know what to expect. Over and over, they’re pleasantly surprised! Do you see a transformation take place during their stay with you? Sister Catherine Marie: When they first move in, there are so many questions and uncertainties in their minds and hearts. . . . You see them transformed by hope. As their life continues to unfold, doors open before them that never seemed possible. They continue with work or go to school. And it’s amazing to see how they teach and encourage one another. Why do you think so many young pregnant women are afraid of motherhood? Sister Catherine Marie: Many . . . aren’t necessarily exposed to children. One guest shared with me, “I was terrified . . ., but as I watched the other guests do it, it gave me so much confidence.” . . . Once the mothers have their babies, they . . . unwittingly mentor those who are expecting, even letting them hold their little ones to practice! How can the readers contribute to your mission? Mother Agnes: Prayer would be first. They could also support our works financially, or consider becoming one of our Co-Workers of Life, who are all over the country. Sister Catherine Marie: Perhaps someone has an extra room in their home and is willing to become a holy respite for one of our women. Baby items and maternity clothes are always welcome! Business owners may consider employing the women we serve. Women can be Handmaids, befriending [a woman] at a time when she feels abandoned. . . . We once asked a Co-Worker . . . if she would be willing to talk with a young woman in college who was truly set on abortion. . . . The Co-Worker . . . says [to the young woman], “Here, do you want to hold my baby?” The young woman just melted and chose life for her own child. . . . Our Co-Worker even became the baby’s godmother. Has New York improved in terms of the abortion culture? Mother Agnes: With every woman served, there is a purifying effect from the radius of her life. And we see so many women who have been wounded by abortion find healing and new life in the mercy of God. When hearts are freed in love, the power and mercy of the Lord are unleashed upon the world in a new way, and the reach of that grace is immeasurable. Do you have a sense of your impact on the culture of death? Mother Agnes: There’s Raquel’s story. . . . Raquel came to live with us and knew what she was doing for herself, but thought abortion should be an option. She got on an elevator, [while] going to her prenatal appointment, with a woman who was pregnant. . . . On the same floor . . . was . . . an abortion mill, and this woman was going to [the] abortion mill. And Raquel said to her, “No, you’re not! You’re going to have a baby. You’re going to have a girl, and you’re going to dress her up in pink! And by the way, my name is Raquel and my middle name is Jasmine.” And she took her down, made an appointment for her with her ob-gyn, and had never seen her again. Raquel ran into her two years later. She had two girls, all dressed up in pink. Their names were Raquel and Jasmine! You talk about how do you impact culture? That’s how we impact culture! 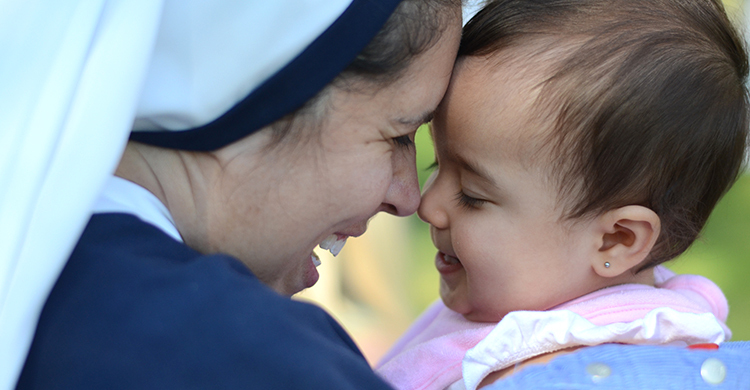 To learn more about the Sisters of Life, visit SistersofLife.org or call 845-357-3547. Leticia Velasquez is a wife and mother, an award-winning pro-life speaker and writer, cofounder of Keep Infants with Down Syndrome (KIDS), and author of A Special Mother Is Born (a collection of 34 stories from Catholic parents of special-needs children).